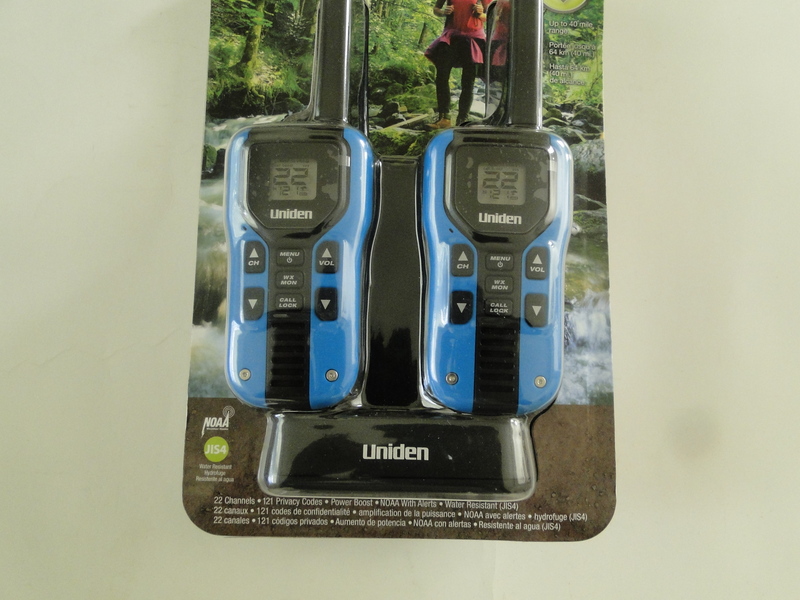 The UNIDEN GMR4055-2CKHS two-way two-pack is brimming with functions and features that make usage easy and convenient. The perfect radios for your bugout bag, to tuck in your backpack when you’re hiking your favorite trails, to take hunting, or when you’re off camping with family or friends. 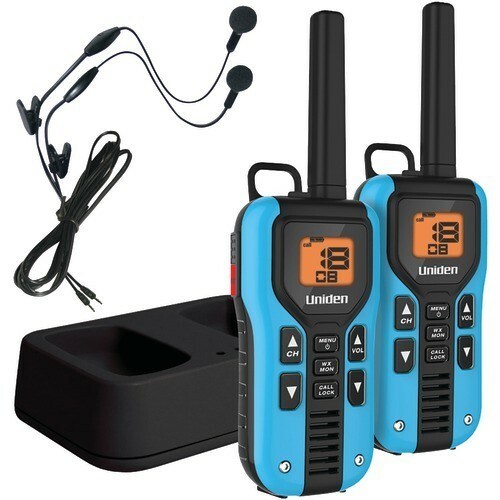 With an impressive hill to valley range of up to 40 miles, this Uniden two-way radio lets you stay in contact with team members at a substantial distance. Remember that the effective range is determined by the topography and environment of the area, as well as the presence of conflicting signals and large obstructions. You’ll get the best results in rural areas or over water. Whether your entire group is using the Uniden GMR4055-2CKHS or a mixture of models and brands, this two-way can communicate, regardless, as long as you’re all on the same channel and privacy code. Nobody likes to be caught out by an unexpected turn in the weather. But thanks to the Uniden’s double duty as a weather alert radio, you can tune into any of 7 NOAA weather channels and get alerts as they occur. 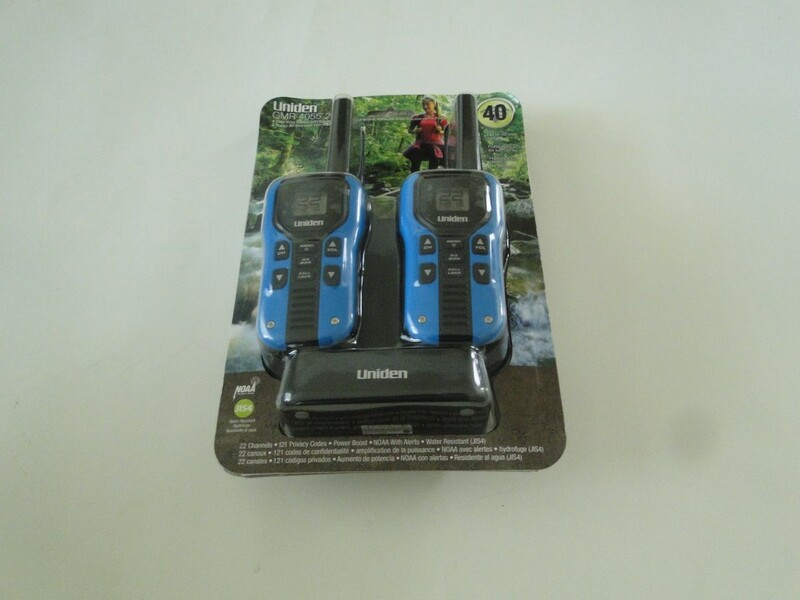 A two-way radio you can only use on dry days isn’t much use – particularly if you suddenly get an alert for heavy rain rolling yet. 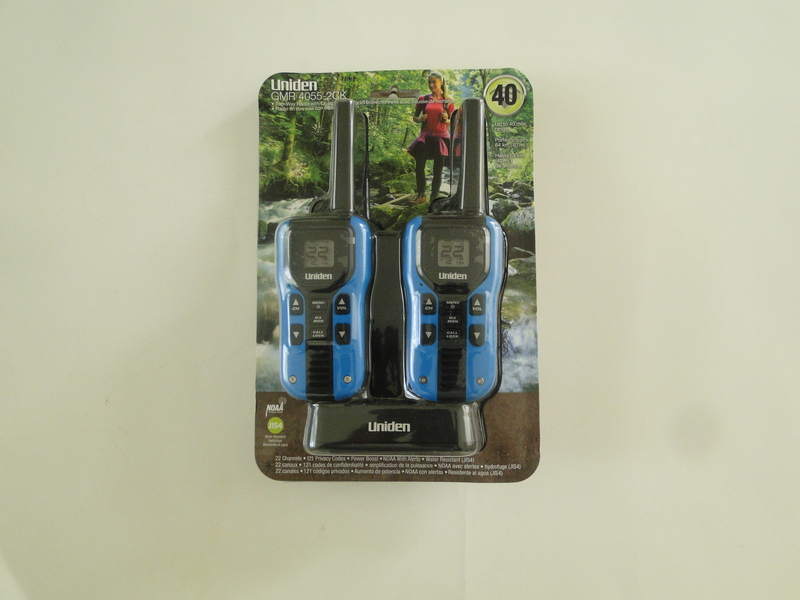 Thankfully, this Uniden two-way boasts JIS level 4 water resistance, so it’s splashproof from every direction. The standard Push To Talk (PTT) feature uses less than 1 W ERP. This is ample power for most situations, and lets you conserve battery. For those times when you need to boost your transmission to get across longer distances or through obstacles (think forest or urban jungle), you can hit the Power Boost button and increase power to 1.7 W ERP. You charge your Uniden GMR4055-2CKHS using the dual-dock charging station by simply plugging in the charger and slotting your radio into one of two ports in the cradle. Alternatively, charge one radio at a time with the miniUSB cable and a USB-compatible power source. This is a great option when you’re out and about and don’t have access to a traditional power outlet. If you’re smart and you’ve got a portable solar charger, you can simply plug the cable into the panel and keep your radio topped up. 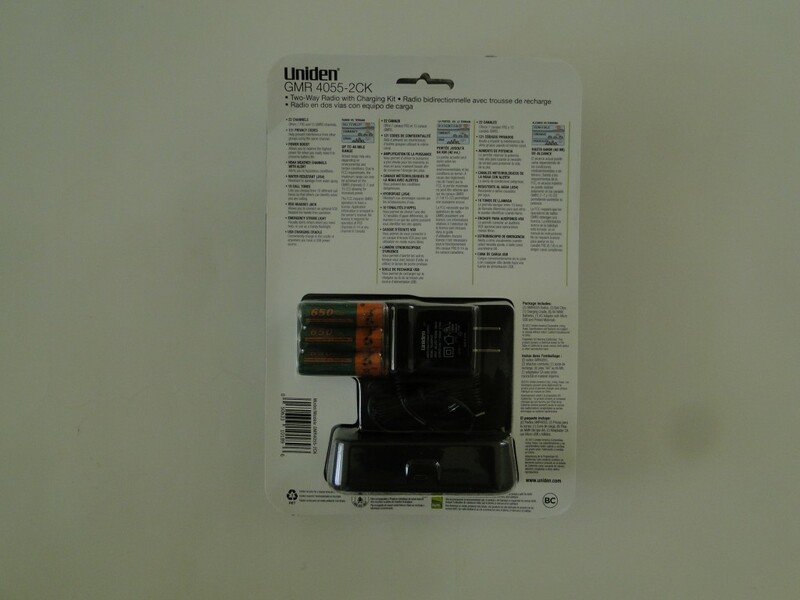 Failing those options, keep a set of disposable AA batteries in your pack and switch them over when your rechargeable NiMH batteries run low. 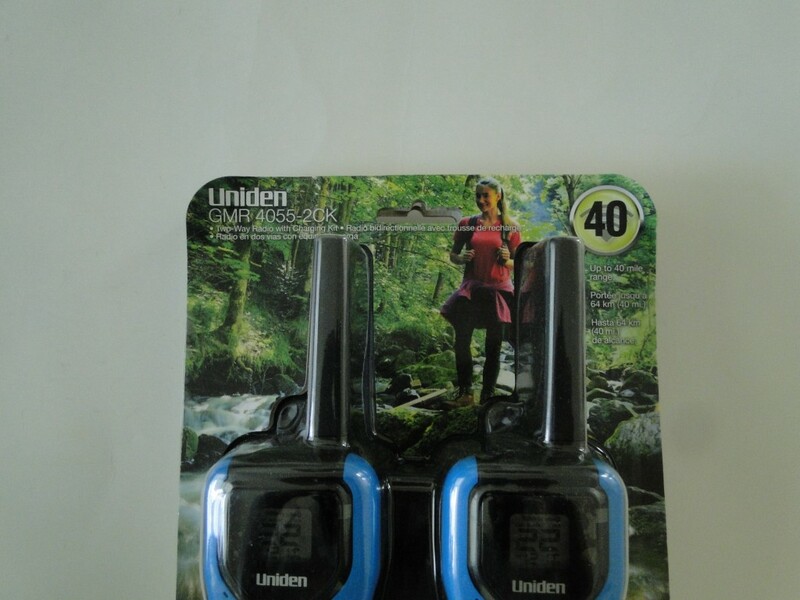 The Uniden GMR4055-2CKHS boasts an emergency flashlight function. You can use it as a standard flashlight, a strobe light, or an SOS beacon, helping you stay safe, even in darkness. Use the VOX function to operate your radio hands-free. Once you’ve activated this useful feature, it transmits as soon as you start to talk, leaving your hands unencumbered. Q Do they need to be charged before first use ?